This orange wine isn’t even mentioned on the winery’s website while on the wider Web you’ll find more information about the label than the wine itself. 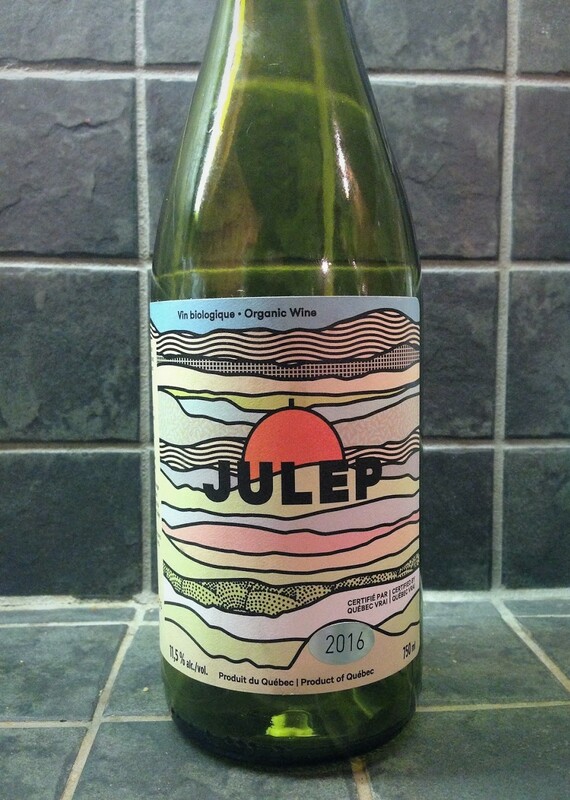 The label and name wryly refer to Montreal’s iconic Gibeau Orange Julep drive-in and its signature drink. 100% Seyval Blanc from the winery’s organically farmed vineyard in Mirabel in the lower Laurentians. Manually harvested. Macerated several weeks on the skins. After pressing, the juice is fermented with indigenous yeasts. Clarified by settling. Probably unfiltered and unfined and minimally sulphured. 11.5% ABV. I’ve contacted the winery for more technical information and will update this post when/if I receive it.